Name the body shame that so easily entangles women's sense of themselves. Confront the myths surrounding weight, size, and health. Engage a new conversation that separates weight and size from worthiness and beauty. Explore what body acceptance can look like regardless of weight and size. 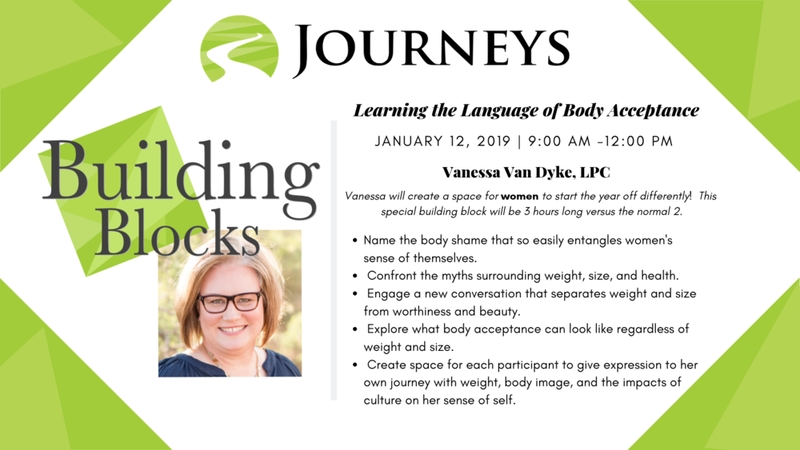 Create space for each participant to give expression to her own journey with weight, body image, and the impacts of culture on her sense of self.